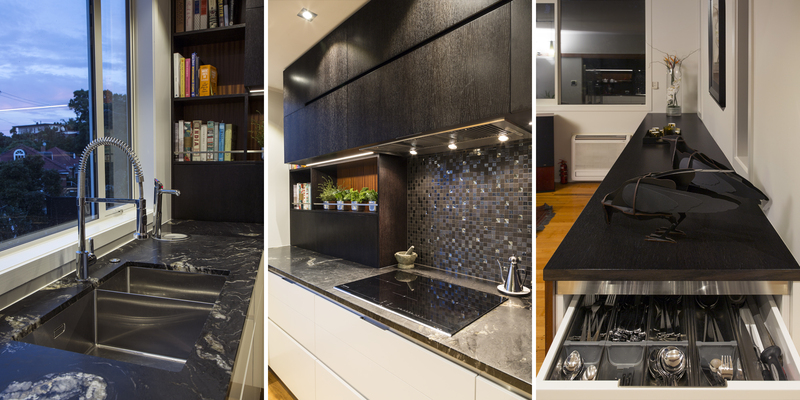 Kitchens By Design | Kitchen Design for Discerning Clients : Mid-Century City. 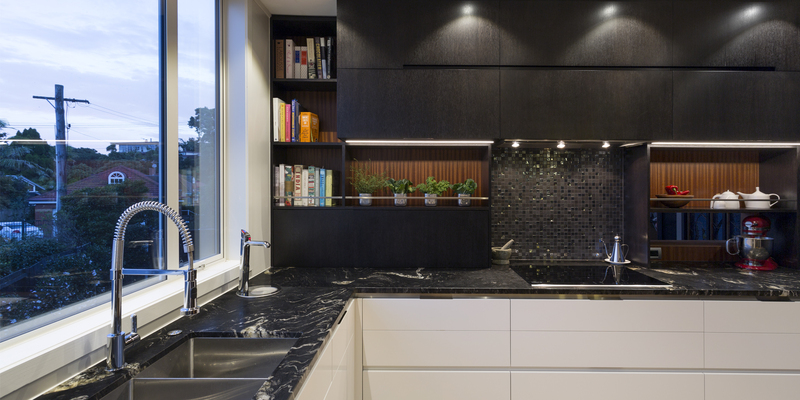 This contemporary kitchen was designed for mid-century style home by architect Ron Sang, and features a large picture window that takes up an entire wall. 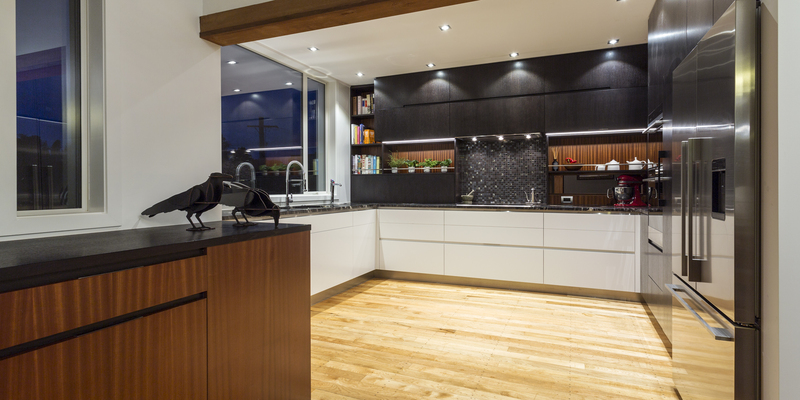 Our clients wanted a contemporary kitchen, while still in keeping with the style of the original home, with improved workflow and more bench space, along with convenient storage for an extensive small appliance collection. As per the brief, original features of the house were kept and referred to, such as the serving hatch in the back wall and the mahogany ascents in the shelving and dresser. 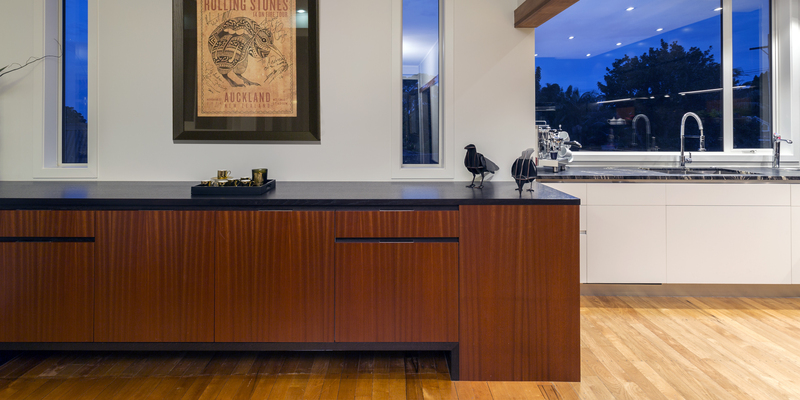 The addition of a retro inspired dresser in the dining room gives storage for both the kitchen and dining room including a drinks area, with a wine cabinet, and built-in cutlery drawers facing into the kitchen. 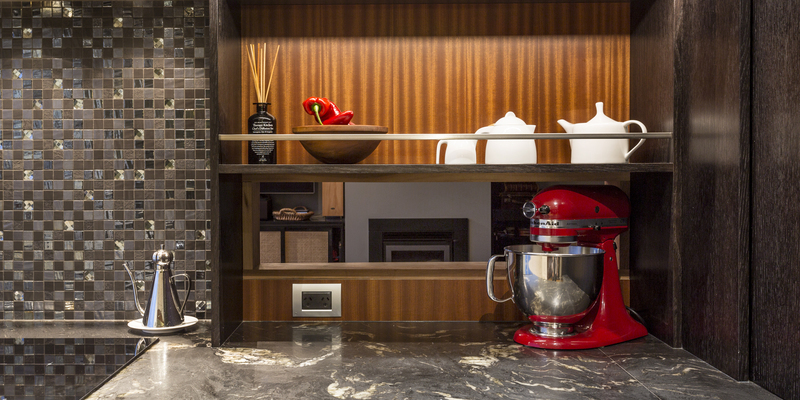 The mix of black-stained oak and white polyurethane cabinetry, white-veined black granite, with a leather finish, and the mahogany and stainless steel accents, delivers a richness and sophistication to the space, in keeping with its architectural past. 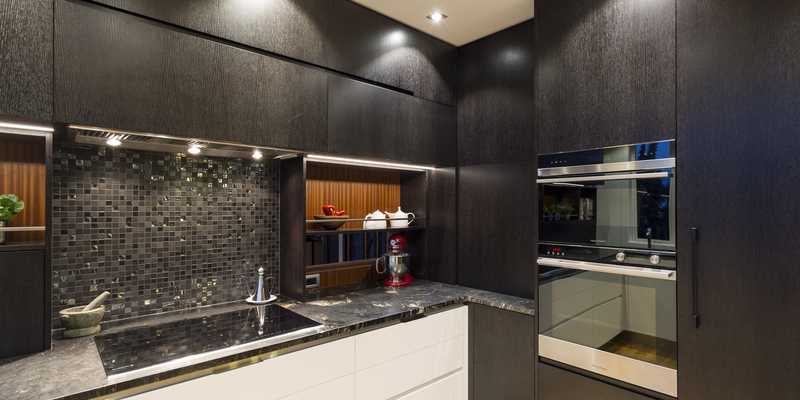 A contemporary kitchen, while still in keeping with the style of the original home.